Peter Schaumber served as a Chairman and Board Member of the National Labor Relations Board during his tenure from December 22, 2002, until August 27, 2010. Since leaving the Board, he has written extensive commentary and analysis on current developments in labor and employment law. He has appeared as a guest expert on such networks as CNBC, FoxNews and FoxBusiness and other media outlets and has testified as an expert before committees of the United States Congress. Mr. Schaumber currently advises business and business groups from his office in Washington, D.C.
Before his appointment as a member of the NLRB, Mr. Schaumber practiced as a labor arbitrator, serving on a number of industry panels and through national arbitration rosters. He began his legal career in government, including service as an Assistant United States Attorney for the District of Columbia. He subsequently entered private law practice in Washington, D.C., where he was director of his firm's Litigation Department. 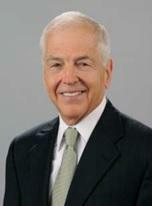 His practice included a wide range of federal trial and appellate civil litigation. Mr. Schaumber taught as an Adjunct Professor of Law at the National Law Center of George Washington University and as an Adjunct Professor in the MBA Program of Georgetown University School of Business. He has also been an arbitration instructor for union advocates at the George Meany Center for Labor Studies. Mr. Schaumber was appointed by President Barack Obama to the board of trustees of the Christopher Columbus Fellowship Foundation, an independent agency of the Federal government. He also serves on the board of trustees of the Institute of World Politics, a graduate school in Washington, D. C.
A native of New York, Mr. Schaumber graduated from Georgetown University and received his J.D. from Georgetown University Law Center.